Since 1977 the College has supported an exhibition program at Andrews Gallery, providing for a Gallery Director and a small budget. 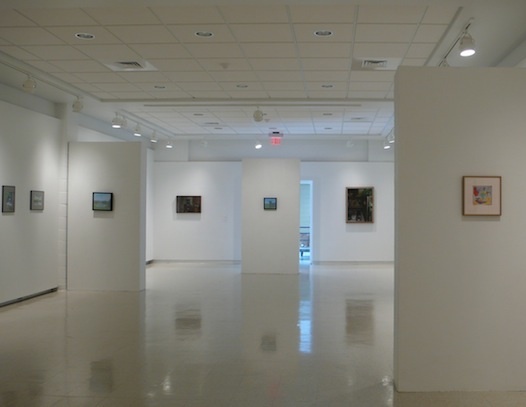 The Gallery has approximately 1,300 square feet of exhibition space and is located on the first floor of Andrews Hall. Each winter, faculty members reserve space for exhibitions by artists or groups of artists that they plan to invite for the following calendar year. Exhibitions are curated by faculty members from the respective studio areas. Along with art faculty members, the Gallery Director serves as exhibitions coordinator and manages installations, publicity, and general gallery operations with the assistance of work study students. Provide our students with firsthand insight into the process, observations, and practices of professional artists. Introduce visual culture and opportunities for aesthetic enrichment to the diverse community of nonmajors who take classes in the Art and Art History Department. Nurture both current artists and audiences for current art. Maintain vital links among our department faculty, our students, and a loyal group of art devotees on campus and in the community. The Gallery does not currently solicit proposals for exhibitions.